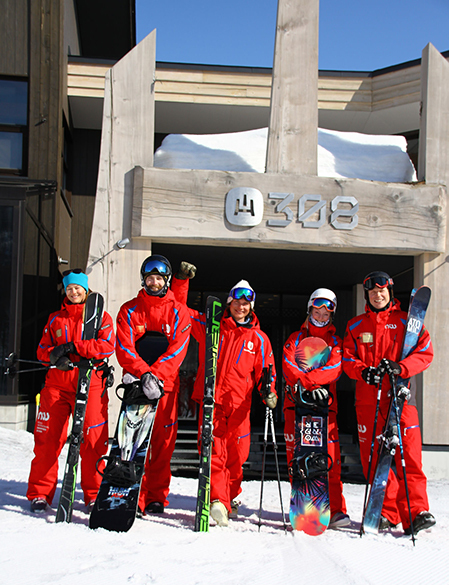 NISS is an official resort-operated Snowsports School with two convenient locations in Hanazono and Hirafu. NISS boasts a complete offering of services to accommodate every guest’s needs and aspirations, whether beginner or advanced, small child or adult, skier or snowboarder. A friendly and enthusiastic team will take you and your family to the next level in a fun and specific environment that is perfectly suited to delivering that extra special snowsport experience. A low student to instructor ratio, coupled with Niseko's best learning facilities - the NISS Adult Group Program offers progression like no other in Niseko. Group lessons are a wonderful opportunity to refine your own skills and meet and progress with guests with similar goals. Designed as a semi private lesson; small class sizes allow you to receive the most attention possible, while our 5-level system ensures you learn at a pace that is perfect for you. The Tic Tac Program caters for 3 - 6 year old skiers. Each day is a new and exciting adventure for our little learners and NISS provides the perfect atmosphere to capture their inquisitive minds. A small class size (maximum 5 children per instructor) allows for plenty of one-on-one attention with their instructor, ensuring all children feel welcome and have the opportunity to progress at their own pace. A small class size (maximum 7 children per instructor) provides the opportunity for more personalized feedback for each child, while still maintaining a great group atmosphere with like-minded children. Under the care and guidance of our experienced instructors, there is plenty of opportunity for adventure whilst also obtaining the essential skills of skiing and snowboarding to progress. NISS Private Lessons are tailored to each guests’ individual needs and aspirations. Great time and consideration is taken to carefully match guests with one of our instructors to assist with achieving these goals. Our Private Lesson products are carefully designed with our guests need in mind; importantly, flexibility in start time, location and lesson length, creating a fully individualized experience. Include up to 6 guests at no extra charge, for both adults and kids.